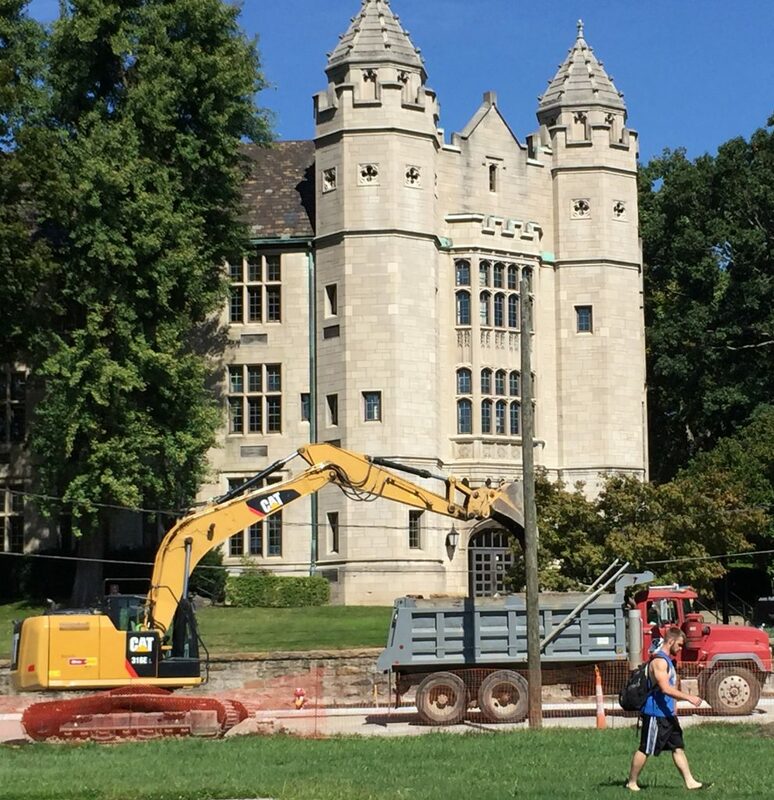 Work continues on improvements to Lincoln Avenue on campus. That project is set to be complete by the end of this year. Earlier this month, crews began work on similar improvements to Wick Avenue, a project that is expected to take at least nine months to complete. It’s going to be a few months of dirt, detours and dump trucks on campus. Major improvement projects by the city of Youngstown are underway on two main roadways at YSU – Wick and Lincoln avenues – that will transform the worn, bumpy and cluttered streets into new, landscaped and safe pedestrian walks and motorways. But getting from here to there, literally, presents a certain challenge for all on campus. “Sure, there is inconvenience with any project, and especially one of this scope, but the end result is going to be well worth it,” said John Hyden, executive director of Facilities. The projects include new street surfaces, sidewalks, curbing, lighting, lane configurations and landscaping. In addition, utility lines along Wick Avenue will be placed underground. 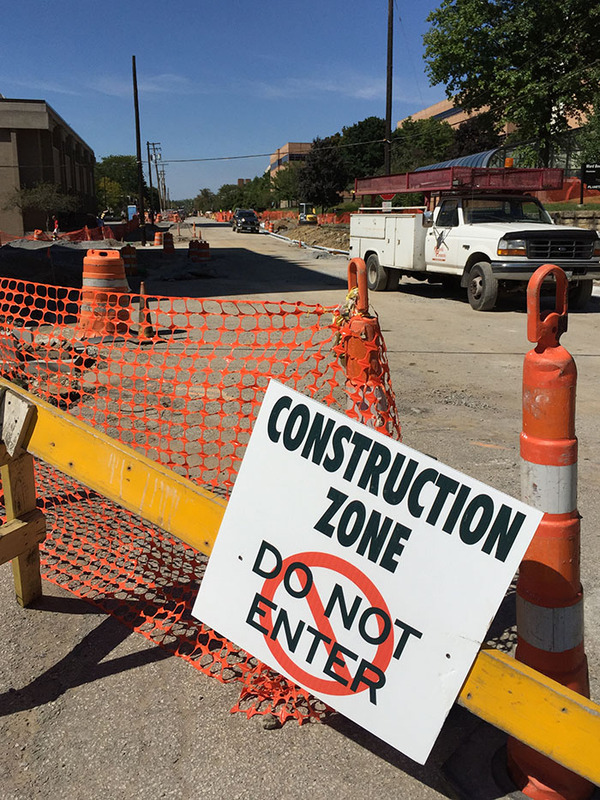 Lincoln Avenue between Wick and Fifth avenues was closed in August, and that work is expected to be finished by the end of December. Work on Wick Avenue started eaerlier this month. The street is closed to through traffic between Madison Avenue Expressway and Wood Street. Local traffic, for access to University Plaza, Spring Street and the Wick Deck, as well as the McDonough Museum of Art, Butler Institute of American Art and the Arms Museum, is be permitted. The Wick project is expected to run through next summer. While the Wick Avenue entrance to the deck will remain open, YSU Parking is directing motorists to instead use the entrance on the east side of the deck on Walnut Street, by the MVR Restaurant.